Show set for Blackpool this January. Triple H has confirmed in the latest NXT UK tapings this afternoon that, as expected, WWE will be promoting an NXT UK TakeOver event in Britain in the near future. 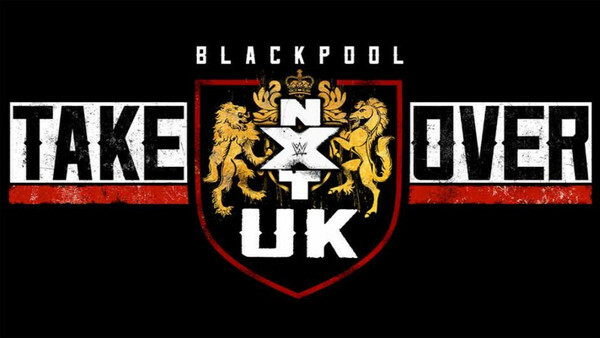 The news first emerged when ticketing website Eventim listed a show named NXT UK TakeOver: Blackpool for 13 January, hosted in the city's Empress Ballroom - the same opulent venue that housed the NXT UK Title tournament at the start of last year. A show called NXT: Aftermath was also listed for the previous day, though given the name, it seemed liked there was an error. Triple H cleared up the confusion, announcing NXT UK TakeOver: Blackpool for 12 January. NXT: Aftermath tapings will take place the following night. WWE previously brought their big boy NXT brand to the UK for a full-sized TakeOver in London in December 2015. The show - WWE's first major outing in the country since 2003's Insurrextion - concluded with Finn Bálor besting Samoa Joe in a match for the NXT Championship. After lying relatively dormant for a while following the coronation of Tyler Bate as the first NXT UK Champion, the Britain-based brand returned to the fore with an announcement of a weekly Network show beginning this past October. Since then, an NXT UK Women's Championship has been inaugurated, with tag straps expected to follow in the near future. As yet, there is no word on the line-up for the Blackpool show.